Hanger 6 at Dublin Airport was the location for the launch of the all new Aer Lingus brand and logo yesterday and it looks superb. Gerry Benson (Travelbiz) was there to get all the chat with the trade and pictures. The new logo retains but restyles the iconic shamrock, adding a tilt to symbolise dynamism and speed, with heart-shaped leaves reflecting the warmth and hospitality of the brand. 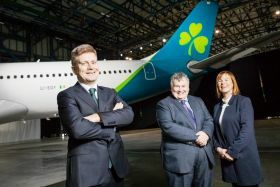 Guests saw four shamrocks on the new Aer Lingus aircraft livery. The first is within the new logo, the second sits on the tailfin, a third welcomes guests at the door, and a final surprise on the wingtip is in prime position for capturing on social media. 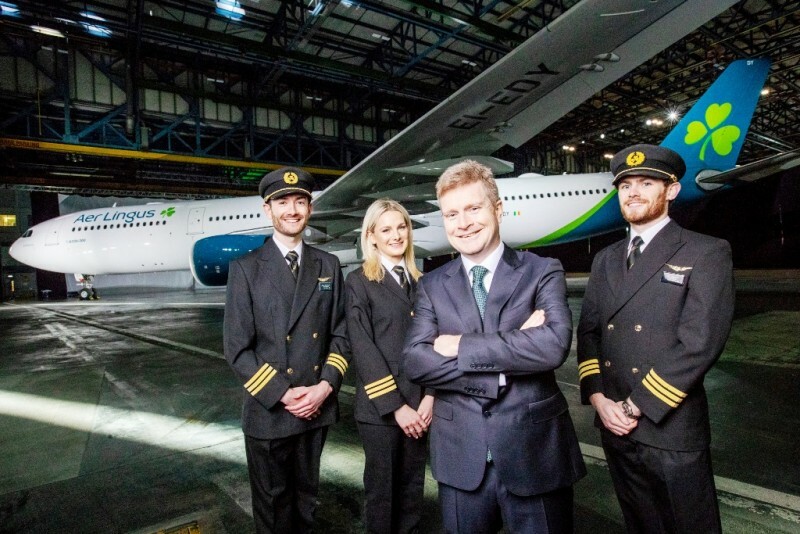 The refresh is part of the airline’s ambitious growth plan which will see Aer Lingus increase its North Atlantic fleet from 17 to 30 aircraft by 2023. Overall, Aer Lingus plans to grow its A330 fleet to 16 aircraft (from 13 in 2017) and invest in 14 new A321LRs to provide capacity for growth across the Atlantic and within Europe.